Lead singer/guitarist Susanna Hoffs revealed today (April 28, 2016) that The Bangles will be touring this year, with seven shows already booked for the U.S. east coast in August (see below). 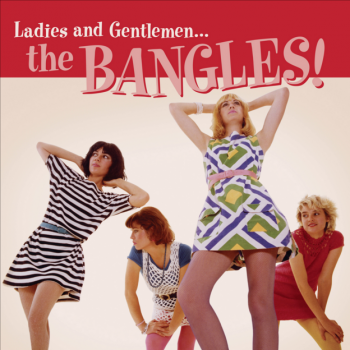 Best Classic Bands has also learned that the band will release the album, Ladies and Gentlemen: The Bangles on June 24 (on Omnivore Recordings.) The 16-track collection of re-mastered ‘80s-era rarities, demos, live recordings and more, was previously released via digital download only in 2014. The album includes the Bangles’ debut single and all of the tracks from their self-titled EP – produced by legendary Ramones/Blondie producer Craig Leon – unavailable as a physical release since its initial release on vinyl in 1982. Encompassing the very first years of the band’s development, from their earliest days as the “Bangs” to their incarnation as the Bangles, the hand-selected tracks include performances by the Bangles’ founding and current members – Susanna Hoffs, Debbi Peterson, and Vicki Peterson – as well as now-retired bassist Michael Steele, and the band’s original bass player Annette Zilinskas. 8. How is the Air Up There?